The girl, Sanjali, was set aflame by 2 motorcycle-borne men, who are yet to be caught. Her father believes caste is not a factor in the crime. Lalau, Agra: The last thing 15-year-old Sanjali Chanakya asked of her mother was that “she continue to fight for justice” for her. “I couldn’t fight in this life ma, but you don’t give up,” her mother remembers her saying, shortly before succumbing to full thickness burns that covered more than 50 per cent of her body. 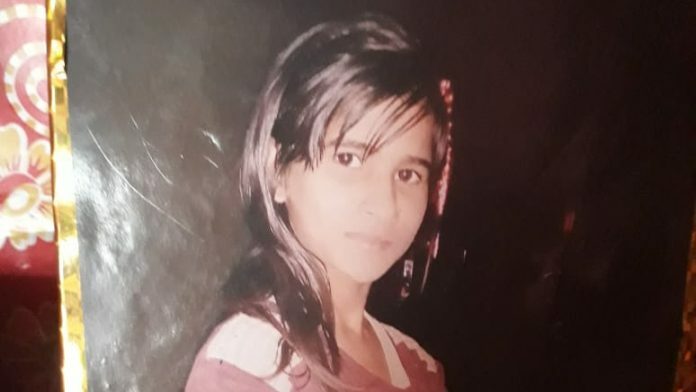 Sanjali was set on fire by two unidentified men who arrived on a red motorcycle Tuesday afternoon, as the class 10 student walked home from Asharfi Devi Chidda Singh Inter-College in the Naumeel village of Agra district, which is located roughly five kilometres from her home in neighbouring Lalau. One of the attackers poured the petrol, while the other threw a lighter at her. The loose sand by the side of National Highway 39 still carries the mark of scorched earth. After being rushed to S.N. Medical College and Hospital in Agra, Sanjali was transferred to Safdarjung Hospital in Delhi the same evening. She died in the wee hours of Thursday. Four days after the heinous crime, authorities, as well as the family of the victim, are still unsure about the motive behind it. The police as well as the family believe it has nothing to do with the fact that they are Dalits, with her father Harendra Singh saying he has “no enmity with anyone in the neighbourhood”. But he does reveal that a few months ago, he was struck on the back of the head by two unidentified assailants on a motorcycle when he was returning from work at 8:30 pm. “There was considerable swelling for four days, but I assumed they were just miscreants or petty thieves up to no good,” he says. “I didn’t think this could happen to my children tomorrow.” No case was registered at the time. 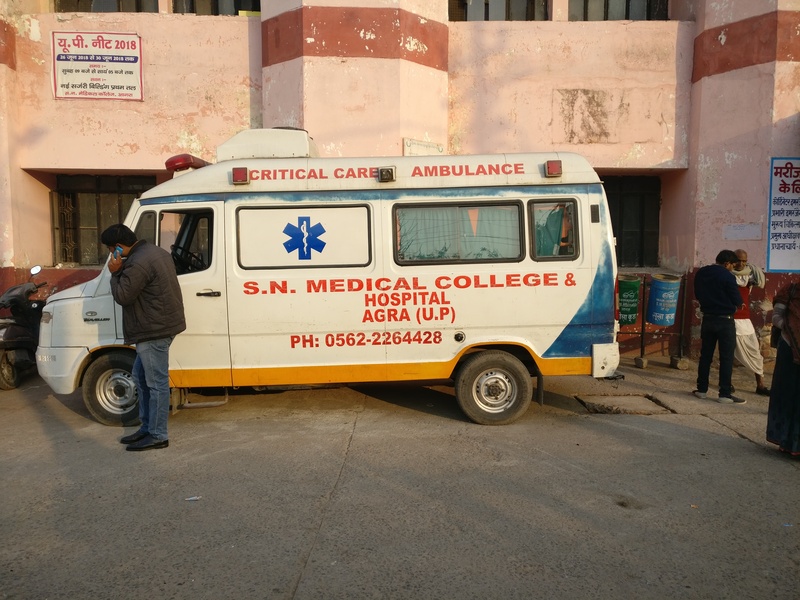 Amid mounting pressure from residents, students and social welfare groups in Agra, the police is making efforts to speed up its investigations. DSP Namrita Srivastava, the circle officer of Agra, says “the police are very close to arresting the culprits”. However, hope is dwindling for Sanjali’s mother Anita, who says her only wish now is to see the murderers in jail. “My daughter is gone, and she’s never coming back. Now all I can wish for is that the men responsible for this are behind bars,” Sanjali’s mother, Anita, tells ThePrint. Sanjali had big dreams. “I want to grow up to be an IPS officer,” she had told her father Harendra Singh, who smiles as he relives the memory. “I told her that I’m not a man with enough means to fulfil that promise, but Sanjali didn’t quit easily. She told me that ‘one way or the other, we must figure it out’,” he says. Rajendra Singh, a fellow resident of the village, remembers Sanjali as a headstrong, independent and ambitious girl, “who was an exceptional student”. She would even help her father and sister with sums. Harendra recalls: “Sometimes, it felt like she wasn’t my daughter but my mother. She’d tell me to keep quiet when I wasn’t making sense. She’d set the table and ask us all to come for dinner. She wanted to be so many things when she grew up,” her father tells ThePrint. Uttar Pradesh deputy CM Dinesh Sharma reached the grieving household early Friday afternoon, accompanied by an entourage of at least 20 police officers, as well as BJP MLA Hemlata Divakar, and former mayor of Agra Anjula Singh Mahor. Sharma assured the family that the culprits would be brought to justice swiftly, and “will not be spared”. Further he promised compensation of Rs 5 lakh, as opposed to the initial sum of Rs 2 lakh. For Sanjali’s father, however, the offer is meaningless. “The deputy CM basically came to negotiate a payment… He was bargaining with us, saying ‘Okay not 2, take 5’,” he says. Members of parties across the spectrum — the BJP, Congress, BSP, and the women’s wing of the CPI(M) — have made appearances at Lalau to offer their condolences and promise swift justice. A few hours later, he arrived with a group of at least 30 Bhim Army members at the family’s doorstep. “I have faith that they will be caught, but if they’re not, then the entire Bhim Army is ready to take to the streets and protest. If someone is being protected, then we won’t stand by that,” Azad said as he addressed the locals and the press. Another Bhim Army leader, Sikandar Boudh, says the Bhim Army demands swift justice, Rs 1 crore as compensation, a job for a family member, a CBI investigation, and death penalty for the perpetrators. He says these demands have been given in writing to the District Magistrate of Agra, Ravi Kumar. Amid this political heat, one can hear the wails of Sanjali’s aunt, 50-year-old Rajan Devi. A woman supports her as she walks, leading her to the congregation of mourners and bystanders outside the family’s home Friday. One hour later, the white sheet-wrapped body of her own 25-year-old son, Yogesh Singh, is placed on the floor in front of her and her husband. Less than a day after his cousin’s death, Yogesh committed suicide in his room by ingesting poison. His mother does not know why, except that her son expressed considerable anxiety at having been summoned by the police as a suspect in the death of his paternal cousin. “The police had taken him to the station for questioning, and when I went to meet him, he asked me if people in the village knew that he has been taken to the police station. I said they did,” Rajan Devi says. She adds that Yogesh was taken by the police to Delhi Wednesday, and even met his cousin while she was in critical care. He was released on return, and even made it home for dinner. “Everything was normal. He woke up in the morning, had tea, and spoke to the family. I went to get ready to go to his uncle’s (Sanjali’s father) house, and he came out of his room after some time complaining of an unbearable stomach ache,” she recalls. Yogesh was declared dead by doctors hours later. He had completed his B.Ed. and hoped to be the principal of a school someday. In the meantime, he provided for his family by working at Torrent Power, the distributor of electricity in Agra city. 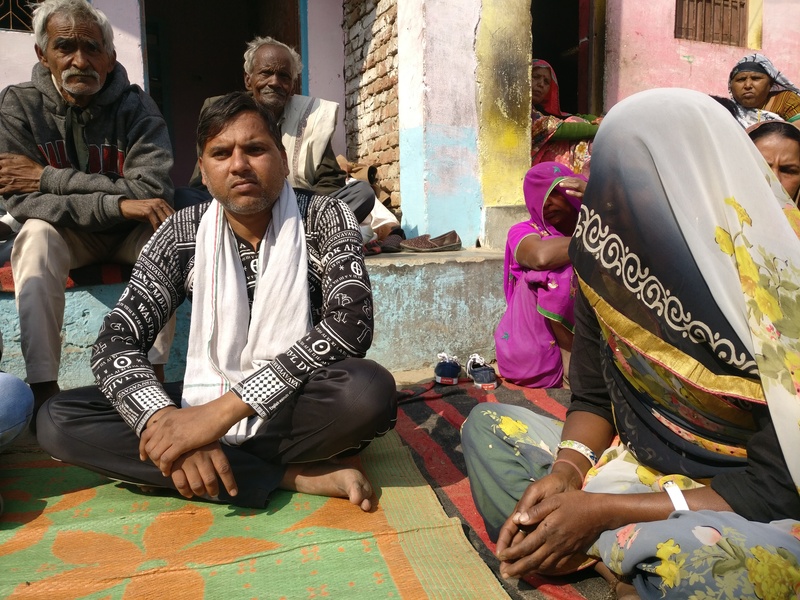 He is also not the first son Rajan Devi is mourning — Pankaj, Yogesh’s elder brother had lost his life under the wheels of a train three years ago. Yogesh’s father, meanwhile, weeps in front of his son’s body — the solitary man on the floor amongst a sea of veiled women. This article has been updated to add fresh quotes from Sanjali’s father Harendra Singh. Why it is specially mentioned that she’s a Dalit girl. Crime is crime and law applies on everyone. Doesn’t matter she belongs to what caste. What if the culprits are from high caste!!! Do the law is indifferent for them!!! If not than You need to focus on the reason behind and to provoke justice for her family rather than Specifying “Dalit”. I pray for her soul Rest In Peace “Waheguru”. I want that two faggots with chains around their necks. Apradhiyon ko bhi beech chaurahe par same isee tarah mrityu dand diya jana chahiye. The twin tragedy to hit this family, causing two young lives to end for no fault of theirs or their parents – is there any parallel in this benighted society?? Other than the fact that they were Dalits? Shame India , a place of peace and faith. Oh not again, don’t set your agendas by mentioning the caste of that Girl, there is nothing to do with that caste because her father also said that “caste is not the reason of my daughter’s death “, so don’t find a chance to criticize General/OBC castes ?